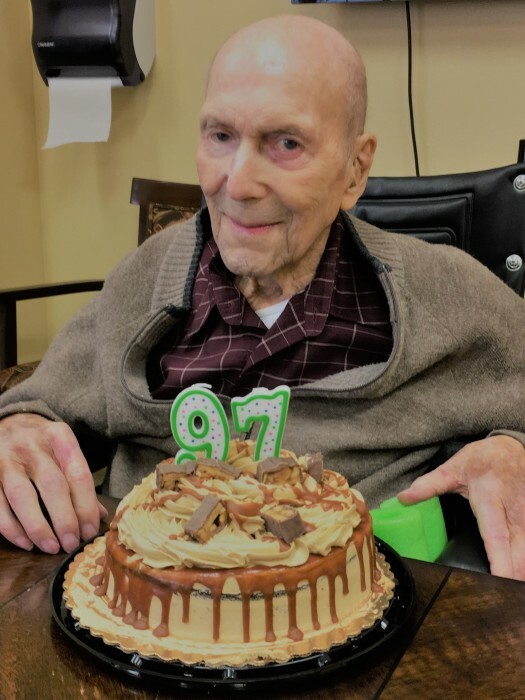 Jack Campbell celebrated 97 years of amazing life and love until his peaceful passing on May 29, 2018. Jack was born in Fayetteville, Arkansas on May 6, 1921. Born one of three children to Zachariah A. Campbell and Sylvia Lauretta Davis, Jack lived his “growing up years” in Fayetteville and Huntsville, Arkansas. Jack was a hard worker from childhood, selling newspapers on the street corners for a nickel a piece when he was seven years old, with his older brother Lindell, in Fayetteville. It was in Huntsville that Jack met and married his high school sweetheart and the love of his life, Ruth Kelley Campbell. They were wed on Aug. 5, 1938 and experienced 73 wonderful years together until her passing on Nov. 14, 2011. He worked for McDonnell Aircraft prior to proudly serving in the United States Navy, during World War II. After the war, Jack and Ruth settled in Greenville, California, working for the Gulf Red Cedar Company. He moved with the mill to Central Point, Oregon in 1948 as a log truck driver. He continued to work 48 years, in many positions at the mill, through his retirement as general manager after it had become Double Dee Lumber. His sister, Mary Francis Rice, two children; Jack Randall Campbell Jr. and Janice G. Ellison, five grandchildren and eight great-grandchildren, survive him. A celebration of life will be held on Wednesday, June 6th, at 1:00 PM, at the Marquis Assisted Living in Tualatin. Jack and Ruth will be interred together at Memory Gardens in Medford, Oregon on Thursday, June 7th at 1:00 PM. The family invites all of their friends to attend this graveside memorial service. Donations to a charity of choice are encouraged in lieu of flowers.